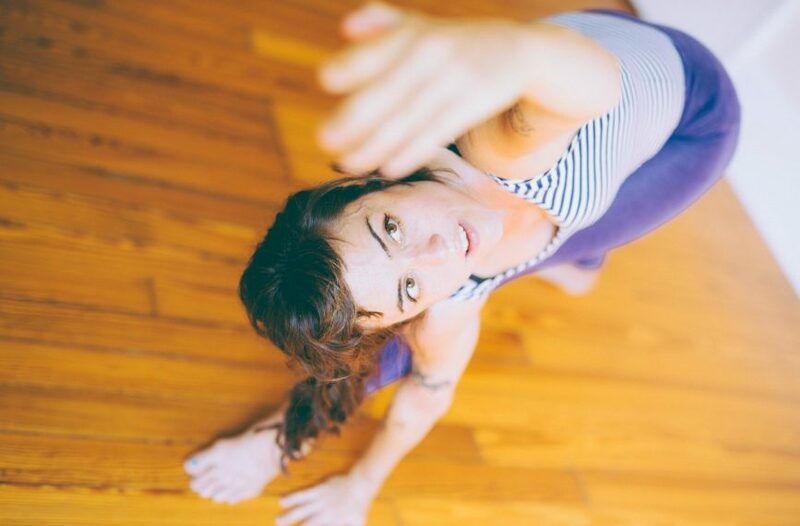 In Mysore-style Ashtanga, you're taught one-on-one in the supportive context of the community. You are carefully guided through the ashtanga series step-by-step at your own pace. You're encouraged to memorize the postures over time so that you develop your own ritual of practice. This practice is yours to take with you and practice on your own. The Mysore Program is open for all levels to embrace being students together in a clear, safe and encouraging space. Why is it called "Mysore-style?" Ashtanga yoga is a living tradition passed down through a lineage of practice, devotion, and study. This method was passed from Sri T. Krishnamacharya, the "grandfather" of modern yoga to his student Sri K. Pattabhi Jois, the "father" of modern yoga. Traditionally, students learnt one-on-one from their teacher, and developed a personal approach to yoga practice. Both Jois and Krishnamacharya lived in Mysore, India for many years, hence the name "Mysore-Style" Ashtanga. This is how the Jois family transmits Ashtanga in it's birthplace of Mysore India. Each person practices the portion of the Ashtanga Vinyasa series which they've been taught. The teacher observes the practices of the yoga students and gives verbal advice, hands-on adjustments, and explanations of the postures. And this is how ashtanga is taught around the world. Learning this way, teachers give you personal attention where fit: postures, alignment, breath. We will teach you new postures when you're ready. It is rare to get this level of individual attention in a group class. Through years of experience, we've found that students thrive in Mysore when they've started with a few Intro or Level 1 classes. We ask that students memorize the Sun Salutations and the first few standing postures before coming to Mysore-style Ashtanga. While we welcome new students, we've found that students are more comfortable coming to Mysore after attending an Intro to Yoga Workshop and a few Led Ashtanga classes. Traditionally you practice yoga in the morning before you start your day. When you start your day by nourishing your body, mind and soul, you'll notice that you tend to make other choices that nourish. Sometimes called "keystone habits," yoga tends to drive other good choices in your diet, mindset and emotional wellbeing. You bring the mind and senses inwards. In guided classes the mind stays outward on your teachers words. Once you know the postures you can bring your mind into your practice. You learn to observe the quality of your mind with curiosity. This is a basic form of meditation. Are you judging? Are you letting your ego push you? Are you feeling negative and irritable? You get to work at your own pace and your own level. You follow your breathing rhythm—no more trying to keep up with a fast-paced teacher. So less risk of injury and a more enjoyable experience. Over time you experience a deep sense of union between your mind, body, and spirit. This is true yoga. On full and new moons in the lunar calendar, traditionally yogis take a day off from yoga. This is the convention that Pattabhi Jois followed in Mysore, India, and his family still follows. On these days the subtle energies of the earth are different. On full moon as Sharath says "The crazies get craizier," the energy of the day is more frenetic. On new moon, the light of the moon is covered, and there's a dullness in the universe. No, scientifically this probably hasn't been proven, but we choose to follow the tradition of Ashtanga in India. We take the day off Mysore-style Ashtanga on full and new moons. ​View and download the schedule of 2018 Moon Days here.